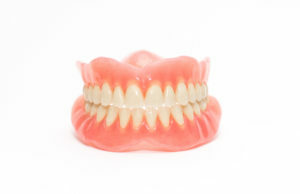 Anyone who wears dentures is familiar with their limitations. Traditional dentures can come loose, affect the patient’s diet, and require messy adhesives to hold in place. Fortunately, dental implants in Lynchburg can resolve these problems for many patients, freeing them from anxiety and preventing bone resorption and other problems. Dental implants were created to address the problems associated with dentures. But traditional implants have their own considerations. They require large amounts of healthy underlying bone and sometimes and take lengthy recovery periods. Also, replacing each tooth with its own separate implant restoration can be cost prohibitive for many patients. Implant-secured dentures combine the best of both worlds. A full denture plate requires as few as two implants to support. The patient can remove it for cleaning and other purposes. Implant-supported dentures safeguard the patient’s underlying bone structure while allowing wearers to enjoy all their favorite foods. Because implant-supported dentures can never accidentally loosen, they enable the wearer to enjoy a full range of social and recreational activities. Am I a Good Candidate for Implant-Supported Dentures? An implant dentist in 24501 will perform a comprehensive exam and evaluation. If your jawline can support the implants, then the next step is to schedule implant placement procedure. If not, then he or she will either recommend a bone graft procedure to correct the underlying problem or suggest other approaches. Receiving implants is a form of dental surgery that usually requires only a few hours. The dentist will use anesthetics and sedation to ensure your comfort throughout the experience. Enjoying full recovery from this procedure usually takes 2 to 3 months. Once this is complete, you will have a follow-up visit in which the dentist will add a pair of abutments, which are supportive posts crafted from medical-grade titanium. This step usually requires only a few minutes. Once the abutments are in place, the dentist will take a series of measurements from which the dental lab will create your dentures. Once they arrive, you’ll return to the dentist’s office for a formal fitting. You’ll get the most benefit from your implant-supported dentures by cleaning them daily, rinsing them after each meal, and following any other tips recommended by your dentist. To ensure that the restoration lasts for long term, you should eat a nutritious diet, limit consumption of sugar, starches and alcohol, and avoid tobacco products altogether. Implant-supported dentures are a great way to put your dental problems in the past and enjoy a better quality of life. Talk to your dentist soon about this and other restoration options. That way, you can face the future with a smile on your face. Dr. James M. Peery, Jr. has been practicing dentistry for more than 30 years. He’s a proud member of the American Dental Association (ADA) and the Lynchburg Dental Association. You can reach his office online or by calling (434) 847-5331.